Opening Ceremony satin mini skirt. For in-store inquiries, use sku #2367003. 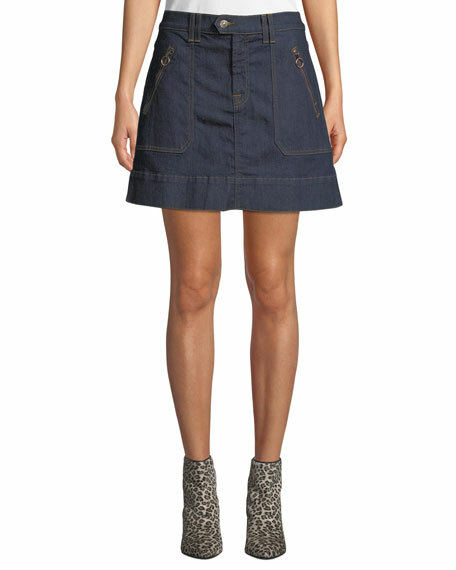 7 For All Mankind utility-style denim skirt with contrast stitching. A-line silhouette. Front zip pockets; O-ring pulls. Back patch pockets. Mini length. Button/zip fly; belt loops. Cotton/spandex. Imported. 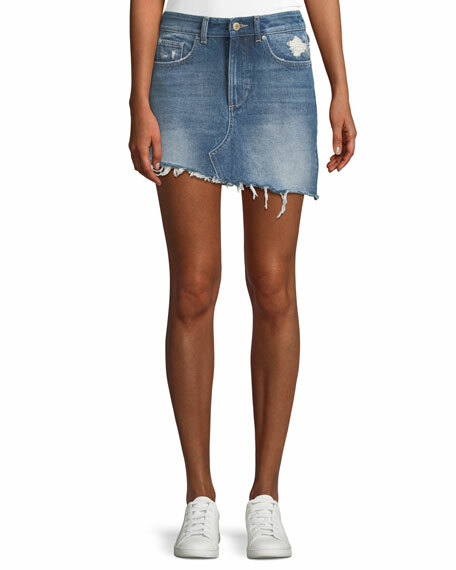 Etoile Isabel Marant "Jocky" printed skirt with ruffled layers. Elasticized waistband. Natural rise. A-line silhouette. Pull-on style. Handkerchief hem. Cotton. Imported.